HOT DEALS: Mega Monday discounts from Zavvi and Play.com | What Hi-Fi? 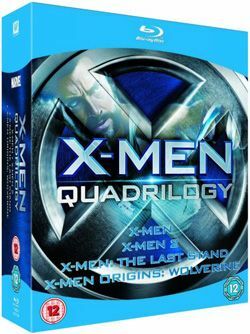 You can pick up the Toy Story Blu-ray boxset for £14.95 and X-Men Quadrilogy Blu-ray set for £10.95 at Zavvi, while over at Play.com you can get a Superman/ Superman Returns two-disc set on BD for £5.99. If you need a new Blu-ray player to spin your movies on, the Panasonic DMP-BD75 is on sale at Play.com for £57.99 with free delivery. And for music fans, Zavvi has a range of CDs on offer from just £1.75. If you spot any similar deals worth mentioning, let us know in the Comments box below.